Join us for a Pre-Release Party on May 1! 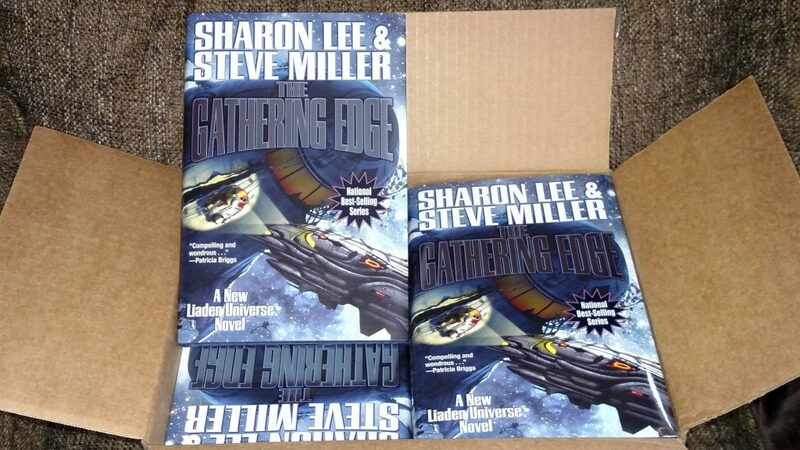 Asyouknowbob, The Gathering Edge, twentieth novel in the Liaden Universe®, Sharon Lee and Steve Miller, owner-operators, will be released in hardcover on May 2. Naturally, we’re very excited (it’s not true what they tell you that, when you’re an Old and Sober Author you won’t get excited when a new book comes out). In fact, we’re so excited, we want to share some of that energy around. So! We’re inviting you all — yes, you, too! — to a pre-release party A(sk) M(e) A(nything) on Reddit, Monday, May 1, at 12 noon Eastern. You don’t need a Reddit account to hang out and read the questions and answers, but you will need an account if you want to participate in the AMA. If you want to get an account now, just, yanno, in case, just go here; it doesn’t cost a thing and it’s quick and easy to do. We’ll be updating here as we get nearer to the date, but in the meantime, put us on your calendar, why not? It’ll be fun. 3 comments to Join us for a Pre-Release Party on May 1! Sounds like fun, and today I learned what Reddit is..so thanks! Normally I wait for the Kindle version as shipping and customs are onerous, but I will be passing through the US in May and will pick up a hardcover version of the Gathering Edge for the flight home. Thanks so much for feeding my Liaden addiction. Perhaps the AMA on Reddit should wait until after I have read it? You will of course please yourself. I will point out that the AMA is a pre-release party — the book’s official release date is May 2. The AMA is May 1, so, in theory, no one will have read the book yet. In any case — enjoy!